And now, it's YOUR TURN to cash in! 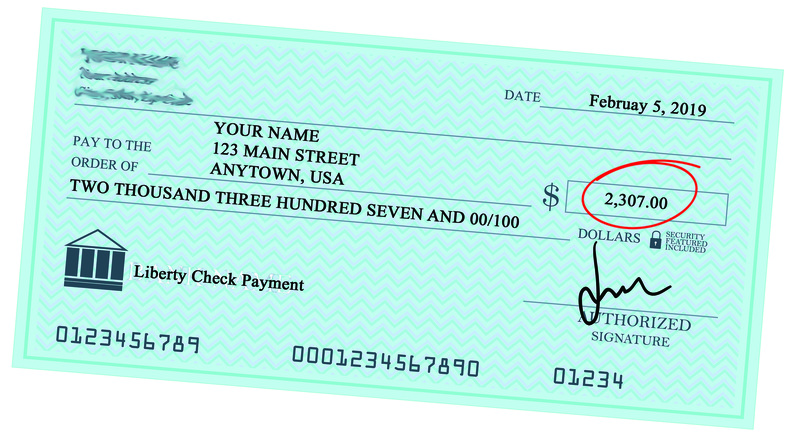 Plus, you'll be able to schedule a steady stream of Liberty Check payments every single month. After that, you may miss out on your chance to collect these "Liberty Checks" forever. "I finally saw the light on November 2, 2016. Since then, I have pocketed $11,341 in profit. So, kick me once for dragging my feet about signing up, and kick me again for not using much larger position sizes. Your research service is phenomenal." "Thank you so much for your life changing service. I'm so thankful you have provided this research and service. You will facilitate me to bring myself forward like a financial Phoenix!" "I have many financial subscriptions but none that did well for all the money I have spent. I have made HALF my subscription price already! I just wanted to say thank you and let you know how happy I am with your publication. I am retired on a fixed income ... so I decided to give it a try... thank you."